We held our Fourth Annual Hotel & Lodging Legal Summit at Georgetown University Law Center last October, and the event was an enormous success. Including speakers and Advisory Board members who attended, we had over 250 participants. 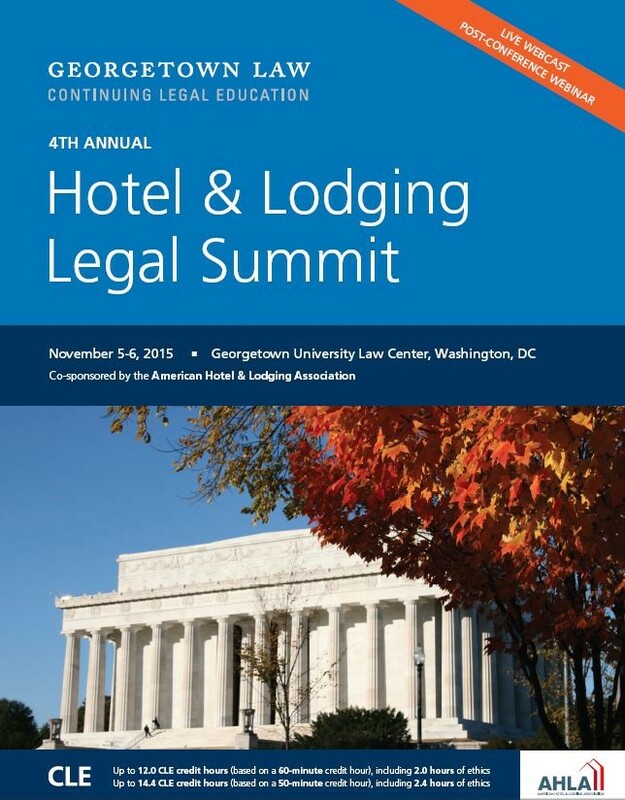 Our Advisory Board has already begun planning our Fifth Annual Hotel & Lodging Legal Summit, which will take place on October 27 and 28, 2016 on the campus of Georgetown University Law Center in Washington, D.C.